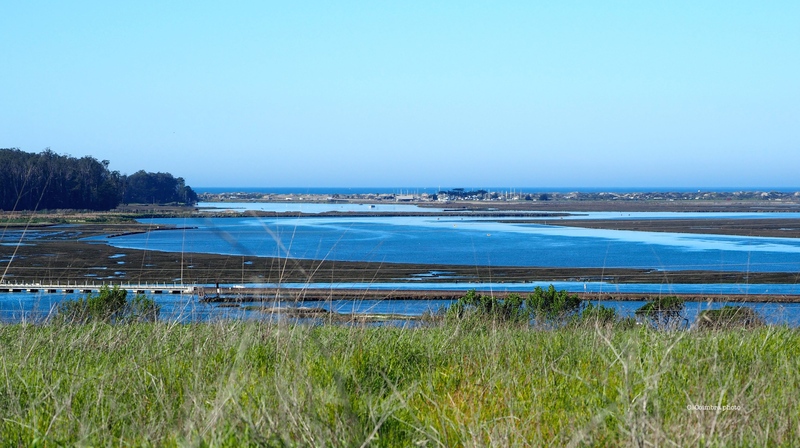 Elkhorn Slough Study Links Ag Runoff to Hypoxia – Neptune 911! Santa Cruz >> Nutrient loading in the ground and surface waters has long been a problem in the Monterey Bay, which is surrounded by major agricultural land and urban areas. Chemical fertilizers spill into streams and the sea, threatening marine ecosystems. Scientists crunched data collected over the past 40 years in the Monterey Bay and the Elkhorn Slough and found links between nutrient runoff and declines in some fish populations. Their findings were published Monday in the journal Proceedings of the National Academy of Sciences. Elkhorn Slough is the only major estuary between San Francisco Bay and Morro Bay, an important nursery for the region and home to sea otters, birds and more than 100 species of fish. The wealth of research on the slough allowed scientists the rare opportunity to study the relationship between land use and water quality. Low levels of oxygen create dead zones in bottom waters where fish can no longer thrive. Called hypoxia, this phenomenon occurs when chemical fertilizers run off into estuaries. The elevated levels of nitrogen feed blooms of algae near the surface of coastal waters. When the algae die, they sink and become food for swarms of bacteria that decompose and consume the surrounding oxygen, thus creating a dead zone in deeper water. English sole is just one of the many species that uses Elkhorn Slough as a nursery. Low oxygen levels were associated with fewer juveniles in the estuary and later declines in the number of English sole caught, according to the commercial fishery and scientific fish surveys in the Monterey Bay. “This is a problem that we have in Elkhorn Slough, and it’s a problem that we have around the world,” said co-author Mary Gleason, lead marine scientist for the National Conservancy in California, which funded the study and is looking for solutions to mitigate runoff. “There’s not that many studies that show the effects land-derived nutrients have in estuaries and also offshore fish populations, so making that connection clearer is important for better understanding and conservation,” she said. But in good years, the population for English sole more than tripled, and the overall fish diversity grew 50 percent. Driving that resiliency are periods with high rainfall. While the slough sees increasing amounts of nutrient pollution, the oxygen levels also have been highly variable. Rain essentially flushes out the estuary, Hughes said. Bringing more rain and warmer ocean temperatures, El Niño events are particularly beneficial for improving oxygen conditions. El Niño can quell the upwelling of cold, deep ocean water, which normally brings essential nutrients to nearshore ecosystems. Hughes and his team found that climate can be a powerful moderator of coastal hypoxia, helping the estuary rebound. However, the effects of climate change are difficult to forecast. The study calls for a prediction models for how El Niño will respond to climate change in the future. “Right now we have a really poor understanding,” Hughes said. Reach the author at sclark@santacruzsentinel.com or follow Samantha on Twitter: @samanthabclark.